Have you tried DNA testing? Which company did you use? Share your results with us in the comments or on our Facebook page. 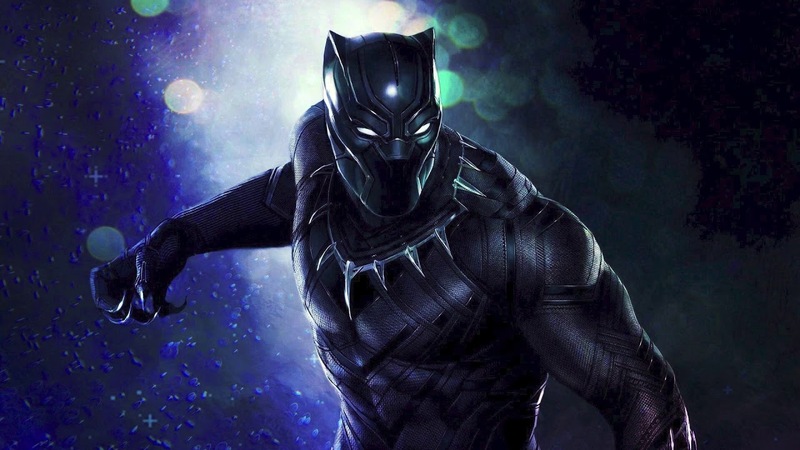 The Science of Black Panther: Is Vibranium Real? With everyone eagerly anticipating Black Panther's Feb. 16, 2018, release, we wonder, is vibranium real? To say that folks are excited about the Black Panther movie coming out this February would be a gross understatement. It was little surprise when the number of advance tickets sold in a day exceeded any previous Marvel movie. Even Lupita Nyong’o had trouble getting a ticket to see the movie on opening night (well, the latter is a bit surprising... they didn’t give homegirl enough complimentary tickets?). And why shouldn’t we be excited about a genius martial artist with all the super abilities that you would expect of a hero named after a large wildcat (e.g night vision, smell, speed, agility, and strength)? He rules the nation where Vibranium comes from (Captain America’s shield is made of a Vibranium-steel mix or alloy), wears his own Vibranium suit, and gets many of his powers from ingesting an herb that was exposed (like much of Wakanda’s plant and animal life) to Vibranium radiation. Since Vibranium is so central to Black Panther’s powers, you might have wondered if there were any such material in the real world. Vibranium’s key feature is that it absorbs energy, for example from sound waves, vibrations, and the kinetic energy from impacts, and it uses this energy to become stronger. Are there other materials like this? Unlike Vibranium, most materials become weaker the harder you hit them. Mangalloy, a type of steel alloy made with 11-14 percent manganese, is an exception. Under impact, its surface becomes nearly three times as hard while its interior stays at its original unbreakable strength. It is also highly abrasion resistant, meaning that it is not easily worn down or corroded and, in fact, it takes on a brilliant polish when rubbed or scratched. Unlike Vibranium, it is also non-magnetic so it might be a smart choice in a battle with Magneto. But you would have a difficult time making armor or even a shield from Mangalloy for some of the same reasons that make it such an amazing material. It’s almost impossible to work with because you can’t soften it by heating it (annealing) and if you try to use a machine to grind it or cut it, it gets harder. Superman could do some damage though, since, although not easy to do, it’s possible to grind it down with diamonds. We might be getting closer to creating a Vibranium-like armor though, as scientists have recently discovered a nanomaterial, two-layer graphene that becomes as hard and stiff as diamonds upon impact. Graphene is a super-thin film, the thickness of a single atom, of bonded carbon atoms. It is constantly amazing scientists with its material properties and its unique physical characteristics have led scientists to use it frequently as an additive or nanofiller to enhance the properties of polymers. It turns out that when you compress two-layer graphene (exactly two), even with a diamond indenter, it takes on a diamond-like structure with the same rigidity and toughness. The creation of materials that can rival Vibranium is very much still in progress, but there have been many interesting developments in recent years. The people that research these materials are called, unsurprisingly, material scientists, and they have expertise in a variety of disciplines including chemistry and physics. Text excerpted from The Royal Society . Martha Sanchez is a material scientist and, according to Forbes, one of the first Latina researchers at IBM’s San Jose Almaden lab. She is very involved in outreach, working with kids in inner city schools to share her love of science and technology. She wrote on her blog at IBM, “When I tell people I work in lithography, the first image that often comes to mind is a process for reproducing fine art. In addition to producing art that’s suitable for framing, lithography is the key method in making computer chips, which is my area of expertise. We use predominantly photolithography to produce fine lines made of polymers using light to create the connections between transistors on chips that help process data. March for Science shirts are on sale for a limited time only. On April 22, 2017 scientists and supporters of STEM from all over the United States marched on National Mall in Washington D.C. to protest the Trump Administration's anti-science doctrine and policies. Normally, the science community abstains from politics. However, with the Trump Administration's determination to promote policies that will be detrimental to the advancement of science programs, scientists and supporters of science from all over the U.S. believed they needed to take a stand and fight. Scientists joined global protests on Earth Day to denounce proposed budget cuts to the Environmental Protection Agency and the National Institutes of Health as well as Trump's views on climate change and the safety of vaccines. Source: March for Science. Click on photo. To continue the good fight, March for Science is selling merchandise to fund the next march on Earth Day, 2018. From super cute t-shirts and baby onesies, to retro posters, March for Science has the goods. Are you going to the next March for Science? If you make a purchase, Ge'NeL would love to see photos of you wearing March for Science gear.